The results of her lengthy research project are a pleasure to read however one might have grown up with the psalms, as a lover of literature, or in liturgy, as a singer of plainsong, Anglican chant, motets, and cantatas, and many other forms of singing the psalms, or one is, out of devotion, or what some may term an obsession, a translator of the psalms. Even if one has written a commentary (and there are so many and so varied of these), one still needs to read and reread many times this creative collection of poems called the Psalter to extract from it the remarkable insights it affords into humanity and our training in the management of governance, pleasure, and violence. You may admit, perhaps, that these are somewhat critical to our lives these days. Over the past 3 days, I reread the first five and the last five psalms in each book. I figured that starting at Book 1 was going to result in again losing track of where I was - so I worked backwards from Book 5. What I then note is that I have read 1/4 of Book 1 (31 poems remaining, 6 to 36), a third of Book 2 (21 poems remaining, 47 to 67), most of Book 3 (7 poems remaining, 78 to 84), similarly most of Book 4 (7 poems remaining, 95 to 101), and less than 1/4 of Book 5 (34 poems remaining, 112 to 145). Let's make sure this adds up. I have read 50 poems leaving me with 31+21+7+7+34 = 100 remaining. I have 10 bookmarks in my Seeing the Psalter. To end up finishing all five books at the same time, I would read now 1 a day from each of Books 3 and 4, 3 a day from Book 2, and 4 or 5 a day from Books 1 and 5 - curious, eh? - about 13 or 14 psalms a day - a large chunk for a 10 day journey. Moving the bookmarks one at a time, I read in Hebrew and English, checking some words as I go - and improving my slow Hebrew. Right now if I am in a hurry, I skip the Hebrew - but I hope this will change. But I won't manage this because I am going on yet another holiday next week! If starting from 0 using this strategy to even it out a bit more over 10 days, read 4.1 poems a day from Book 1, 3.1 from Book 2, 1.7 each from Books 3 and 4, and 4.4 a day from Book 5 (15 a day). Would I discover anything reading each book as a sandwich working both ends toward the middle, and nibbling some in the middle as well? Yes, you see connections as you go - always different. Juxtaposing different psalms against each other is revealing. A different 10 day journey would be to read all the poems that have the same day number as the day of the month modulo 10. Another strategy for a 15 day journey is to read 1, 16, 31, 46, 61, 76, 91, 106, 121, 136 on day 1 and so on through to day 15 (10 a day). This 15 day strategy is not as easy to remember. But the problem with both is that they do not let the books each stand as a unit. Why are the books the way they are? Once I really get these poems in my head, I think reading even one of them will suggest many links to the others. I suspect one could reduce the volume of reading per day as well. I wonder about treating Psalm 119 as 22 psalms and reading 2 a day over an 84 day cycle beginning at Psalms 1 and 85. You would get through the Psalter about once a quarter. Nice place to start, eh? Maybe you have not read Psalm 109 recently. In some Psalters, it is truncated to 15 verses with the guts removed, Hebrew verses 6 to 20. The situation is in fact far more than this. I have just read the section on Liturgy and Psalmody in Christian tradition in Susan Gillingham's Psalms through the Centuries for the period of the 20th and 21st centuries. Now I understand where those priests were coming from when they removed all the cursing verses from the daily and weekly office. It was a trend. It has been a trend. The people are not able to face the demons that are in themselves. People might think that it is God's will to curse the enemy. And people did. Again from Gillingham, Psalm 109 was applied by those such as the Lollards who sought reform in the late medieval period and they applied against the clergy and church leaders (p. 115). Ha - good move. If I had known Psalm 109 in the 1950s, I and my fellow students would have applied it in our residential school and we, the poor and needy, might well have taken strength from it. So here are the questions: what does God do? What does God say in this Psalm? - answer - nothing. The poet may expect some action, but it is not to happen. The poet may expect a response, but there are no words in the poem from God. But there is hope in the last verse that Yhwh will stand at the right hand of the needy to save him from those judging him. There is still theology in this psalm: within it we know that the poet praises God, expects a voice, knows that there is judgment and severance from memory, before Yhwh continually, (a nice contradiction - how do you forget that which is before Yhwh continually) and recompense, that Yhwh can be appealed to for the sake of your name, for the good of your mercy, for help, for mercy, for the knowledge in the enemy that Yhwh has done it. Yhwh has a hand in this. But ultimately, the poet realizes that Yhwh will bless and the poet's polemics relax into the traditional hope for shame in his enemies. Still much to learn from this psalm. Notice how the sequence of the words from verses 16 to 20 form the backbone of the resolution of the complaint: 9 words reused in sequence, as if the poet were reflecting on human betrayal and polemics and leaving the judgment to Yhwh. However we apply the NT usage of this Psalm, (see Neale and Littledale for some detail here) it cannot be seen as justification for hatred and violence on the part of the worshiper. But those who preach will have to do more than eliminate the psalm from the Psalter. What questions should a theology of the Psalms ask? 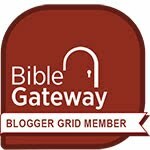 who are the players and actors in the Psalms? what is the produce, and where is the fruitfulness that we might seek? More important for this is perhaps - how does God act? and what does God say? - or more accurately what might we infer from the poets about God's actions and sayings and about what they considered concerning their God, whose name YHWH is defined as "the name by which I will be remembered for all time." Doesn't that raise some questions about Jesus or Christ as God? How might this be dealt with to undermine the will to power represented in the arguments? So what? Do we think somehow that we must have an idea of God? Is any writing on this prone to generating confrontation? Probably - but what if analysis were dispassionate for a moment? Dispassionate like the opening of Psalm 18 (joke). Google + comments on this blog have all disappeared since I have reverted to Blogger comments. Google's motto was 'do no evil'. In the case of comments, they have failed to do good. Sorry about conversations that are now lost. But there is no technical solution that allows both. At great risk of displaying my foolishness, I am stimulated by two posts from people I have never met in person to form a statement of faith that expresses something. Each post asks "Where should a statement of faith begin?" The first that I read is here and the second is linked to it. Each post is reasonably good in its own way. It is a bit of a word challenge - what do you do with Jesus, Christ, and God in terms of their character, and their role from our point of view. For fun, I will start at the beginning. The source of my words is (of course) in the Bible. All versions of the canon of Scripture in the tradition in which I am taught, start with the second letter of the Hebrew alef-bet. It is said that Alef was willing to let Bet go first, even though Alex was first according to the list of letters. So faith as a statement is must be willing to let faith which is expressed in action go first. When we look at that first partial sentence in Genesis, the first action is creating. In our lives, as we become aware, we are faced with that which is created (from our point of view) and we have no known subject for this act. The subject is therefore God. We too, created in the image of God, are to be (first), creative. We do not begin with explanation. When we have been creative, we may then attempt to express in words what it was that made us so, a prevailing strength, hard work, daily practice, an inner force of determination, an inner change of heart, and so on. These are aspects of what may be called the human spirit, and of what may be determined as an anointing, or Christ-like behaviour. (Note I did not say Jesus-like, but Christ-like.) This Anointing Spirit who broods over the disorder of the formless deep is likewise an unknown actor, presupposed by us who act in a creative way and seek to explain such action. Where is the doing of God best illustrated? It is a long story and tortuous, a history filled with violence and passion, and with tenderness, with vulnerability and exploitation, with self-seeking and self-protective behaviour and with self-giving. I have noted before the five-fold repeated description of 'the LORD' in Book 5 of the Psalter - Yhwh who makes heaven and earth. This God is named by the name that was revealed to Moses - a name by which this God is to be remembered for all time. The actions of this God are to make heaven and earth - the phrase is expressed as an active ongoing participle. (We may think that created is in the past, but it is really ongoing as the Psalms make clear - and as one could translate Genesis 1:1 also: see e.g. here. I am willing to believe Holmstedt on Grammar. He's done his homework.) These actions are summarized with the fifth mention of this phrase in Psalm 146. This is a God who keeps truth forever, who does judgment for the oppressed, who gives bread to the hungry, releases prisoners, gives sight to the blind, consoles the disturbed, loves the righteous, shelters the guest, restores orphan and widow, and subverts the way of the wicked. This is a 'go and do likewise' moment. Who is the obedient but the one who does what was desired from the beginning at the same cost that was invested in the beginning, even before the foundation of the world? Dare I say that the power to become such children is given by the same Spirit that broods like a Mother over the formless waste and the waters of destruction that so easily temporarily get the better of us? There is plenty of unity in these statements. They circle back on each other. There is plenty of trinity in these statements also but there is no salvation in belief without obedience. And the hearing and obeying is a costly act of creation paid in one's own kind, flesh and blood. We may jump to conclusions, creeds and confessions, but salvation and deliverance come through an inexpressible Anointing, aka Christ, an anointing that results in hearing and doing. Words there are indeed that are Spirit and Life. The poor and the hapless do not remain downtrodden when the Spirit moves. In truth, the Bible may begin with the second letter of the alef-bet, but the second letter takes creative power from the first and the Spirit is a brooding and redeeming warrior through her brood. Wisdom is justified in her children. If Jesus had not been mortal, temporal, like us, we would not know this hope so clearly. The same hope exactly is expressed in the psalms. We are called into the same hearing, the same drama, the same courtroom, the same life. It is pretty clear that most religions agree that we must care for the poor and the hapless - but do we really go the whole nine yards? Do we subvert the way of the wicked or do we rather admire the way in which people get ahead in this world? Do we even protect and allow and encourage such self-service in the cafeteria before us? It must also be clear that we mortals have a very difficult problem. We are beset with conflict in ourselves. Should we not eat, drink, and be merry? The oracle Psalm 36 has it right - on the transgression of the wicked within my heart... there is no dread of God before its eyes. The following acrostic (Psalm 37) on the wicked shows, as does Psalm 1, how important the wicked are. They are the ones who have the opportunity to work out their deliverance in fear and trembling, if indeed we will. Note it is the way of the wicked that is subverted so that the wicked one might come to its corporate and individual senses and not be insensitive or senseless or foolish (and say in its heart - God is of no account, Psalms 14, 53). The obedience is spelled out in the Psalms - and from these texts Jesus reads the whole conversation with the one who created the heavens and the earth and who teaches humanity knowledge (a phrase I learned with delight from Kimhi). We may read and be taught (Torah) with Jesus. Such is the Gospel. Detail of fol. 135r, illustrating Psalm 77. The Anglo-Catalan is more useful and colourful. See here for some additional images. How long can you maintain radio silence? Or how long can I keep silent when reading? I remain mystified by his strophic structure. His notes like 3-2 3-2 3-4 etc are not explained or linked to any words in the poems. They are neither stress units nor word counts. Without an intro such as this one it is impossible for the reader to engage with Terrien's book in this aspect of his analysis. Of course it is impossible to do it in English, period, and his book in the edition that I have access to is English only - so I count this major aspect of the book a failure in communication. He may have been good - even very good, but a reasonably informed English reader cannot possibly follow him without something else in hand. I have not yet critiqued his translations but they are at times without justification - e.g. Psalm 1:6, but the way of the ungodly vanishes in the sands. This is an odd gloss - no sand in the text, and sand would conflict with the metaphor of 'as the sand of the sea', a symbol for abundance. Or does he mean the sands of time - an even worse import into the text, strange in English or French. No other translator has so rendered this verse as far as I can see. His position changes from the 1962 book on Luke (Penguin commentary series). In the lectures, I hear a dependency on Jewish tradition for interpreting the NT. This is very good in my opinion. The book in contrast has uncritical assumptions. It is the assumed old (pre-shoa) rather than new(er) perspective on Paul. I am still looking for both the gifts of Psalm 68 and the discipline required in obedience from a New Testament writer.﻿ Assumptions of supercession, old Israel versus new Israel, is not a reading that I can any longer bear with. re Psalms through the Centuries and Jewish and Christian Approaches to the Psalms, Conflict and Convergence, (papers from Oxford 2101) I am thoroughly enjoying these. There is an SBL review of Psalms through the Centuries here. I have the paperback edition from 2012. You cannot get the full sense of this book from a review. Nor could you get it without knowing the psalms very well. But this is a comprehensive review of the history of the reception of the psalms - a thorough pleasure for me at this time in my learning. I do not regret having concentrated my study on this one book of Tanakh. I recall teachers who knew nothing. And teachers with an axe to grind. None of the above falls into these categories. I recall teachers who may have known much but who could not communicate it, and teachers who have presented very well the things they learned in their youth but had not yet developed their own real reflections on it. The teacher is rare who can present clearly and encourage in their students a freedom of response to the data so that we might grow into what is complete, measured into the fullness of the maturity of the gifts that are ours. Robert Saxton is footnoted in Susan Gillingham's reception history of Psalm 137 - a hard hitting section of the book Jewish and Christian Approaches to the Psalms. Particularly interesting is the second of those three videos on The Wandering Jew, a radio opera. Whoa - Bob - too big a title - and you are supposed to be reading. Yes, I am reading and listening (with half an ear) to George Caird, and I just found his short commentary on St Luke (Penguin Books 1963) which I think I will reread. Are Christians suspected of antisocial behaviour? He [Luke] will portray the author of their faith as a figure of nobility, grace, and charm, able to reproduce these same qualities in the lives of his followers and to raise to decency and dignity even the outcasts from the society of men. Yes - Caird and his editor Nineham, like their contemporary Lewis, use language that is 'man' oriented - but humanity is intended. And humanity includes 'all sorts and conditions of' the same. And such conditions include but are not limited to race, gender, social status, sexual orientation, colour, creed, and confession. So how does 'the author of their faith', by whom Caird means Jesus of Nazareth, "raise to decency and dignity even the outcasts"? He does this by growing people made in his image into the fullness of their capacity for love. I could prove this by a number of words - but no. The word now is out to those who have a sense of the inner life of truth. Russia is out from the point of view of the prejudice of their current leadership. Well, we could have figured that out couldn't we. It would not have taken much to out the Russians. So that deals with 'consequence' in my title. The consequence of hearing that the Russians are out is to say to them - no. Let your no be no - as Jesus said. You, O motherland, may not be in favour of violence that supports your prejudice and that stems from your own fear. What about political and social? - well, it is more than a matter of big-money and gold-medal-glory. Do we (who are not Russia) want to win on crooked ground? Better to say no to ourselves than to say yes to what is not straight. The crooked will be made straight (the root is from equity - ישר) - but not, O motherland, in the fashion you imagine in your own sin - your ways are not my ways, says that same ancient text of the book of consolation (see Isaiah 40ff). What about believing in God? Shouldn't I have written - that particular Abba of Jesus, the Galilean who was executed? Or should I have written the consequences of "a passion for truth", or "a passion for justice". Those are the measures of God, in human terms: truth and justice. For he will judge the nations with equity (ישר) (Psalm 67). And here is a moment of judgment with equity which those who have a passion for truth can exercise. I doubt that this truth is confined to Christendom. Doesn't even that good book speak of "all who fear God", "all who do what is right"? Isn't it strange that we among the nations must judge according to the equity of the judgment of God? Will we? See this related article by Stephen Fry (if you can get to it). Traffic volume is very high on his server. I will spend a month in my discernment period, reading and listening. Here's the reading list so far - help me add to it if you like. Terrien, A strophic and theological commentary on the Psalms (not my favorite but I am giving him a second chance to reveal his assumptions). the first is all the papers from the Oxford Psalms Conference, Jewish and Christian Approaches to the Psalms, Conflict and Convergence - samples here. the second her Blackwell commentary, Volume 1 on the reception history of the Psalms, Psalms through the Centuries. Both of these are full of delights.